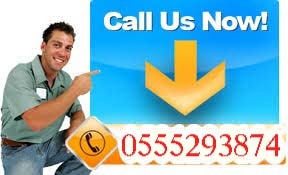 Villa Maintenance Dubai Home maintenance in Dubai is what we do best. Our maintenance companies are qualified and trained to provide home maintenance services with quality and care. Since our beginning, we have vetted more than 80 home maintenance companies in Dubai to determine the best quality at the optimal price.Handyman-Slims offers the complete solution to all sorts of commercial and domestic maintenance works. It’s our perfection that makes us to be chosen first for any maintenance works. Villa Maintenance Dubai Our talent and expertise have made us renowned among the users. We are keen to deliver affordable and immediate services to our clients. Villa Maintenance Dubai We work for everyone starting from large and small scale commercial clients as well as for domestic purposes. Our wide area of servicing always has assisted us in grabbing more workplaces and chances. We have a very expert team of staffs who have years of experience in different maintenance works, they are also facilitated with modern work tools and equipment. Handyman-Slime has wide network of technical services company that provide community service general maintenance. We provide a range of services from handyman to carpentry to AC maintenance to interior renovation. Established relationships with multiple service providers mean Handyman-Slime can provide services at economies of scale. We do maintenance work as a whole package for those who plan for a house shift, relocation of business space or shops. We are also here to deliver rapid small maintenance works also. A fully active client help desk is there to hear you and assure your services. We work in such a way by providing you workers who are available near to your location, so that an immediate problem can be solved as early as possible. Your property matters to us, which is why we go the extra mile to offer you premium-quality building maintenance services. Our skilled workforce of reliable professionals is on hand around the clock for all your property maintenance needs. We use only the most highly skilled tradesmen, from decorators and gas engineers to electricians and plumbers Villa Maintenance Dubai.